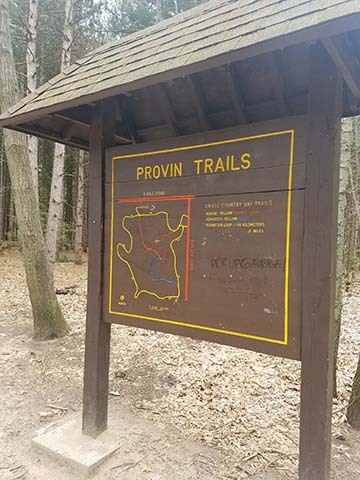 Provin Trails is a largely undeveloped park featuring a network of natural-surfaced trails just outside the city limits of Grand Rapids. 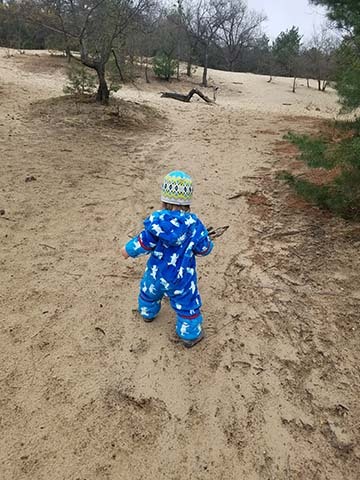 Visitors can explore a mix of dense pine stands and open sand barrens along interconnected trails that wind through scenic hills and valleys. 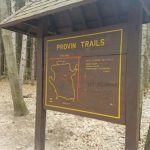 All the trails are accessed from a parking lot off 4 Mile Rd. 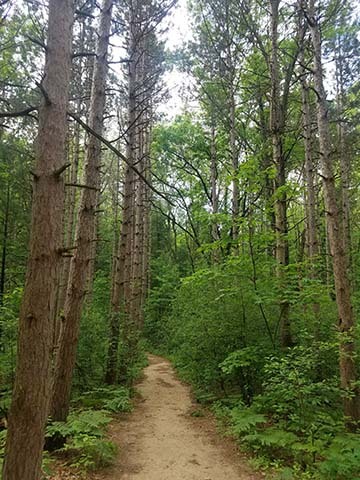 The main trail loop is about a mile long, however, there are a number of interconnecting trails within the park that allow you to add distance to your hike. Large, sand dune in the middle of the park. A hit with kids of all ages and great for sledding in the winter! Good size dirt lot parking area with a port-o-potty bathroom. Hi! It’s great to meet you! 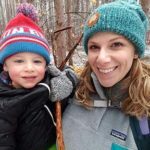 I am a native of West Michigan, born and raised in the Grand Rapids suburbs. My husband Nick and I are parents to our two-year-old son, Roland. 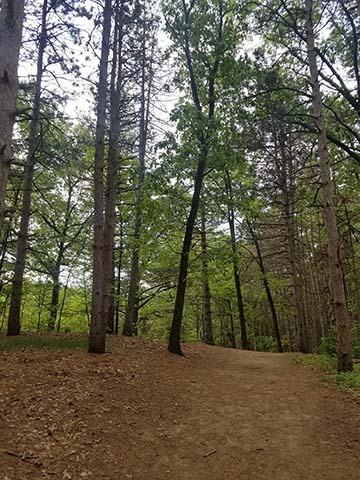 We love to get outside on our local trails, and also enjoy downhill skiing, and spending time at the lake. I work as a marketing professional for an agency out of Indianapolis, and I’m also on the Hike it Baby National Team as the Newsletter Coordinator. 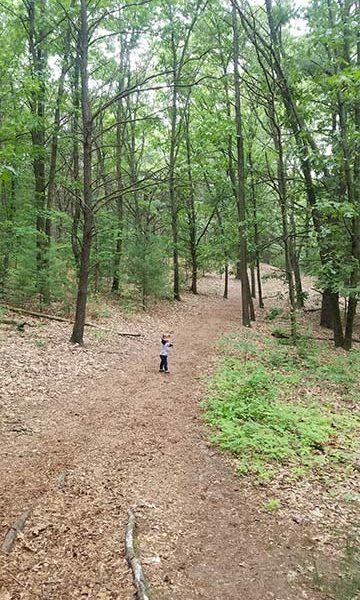 I hope to see you on the trail soon!